The grant helped the Gardeners Rest Community Society to purchase their pub and preserve it as an activity centre, music venue and art exhibition space, as well as a pub. The pub offers employment and training for people with learning disabilities and mental health disorders working with charity 'Yes 2 Ventures'. It's used by art groups, sports teams, local history groups and faith groups. The property and the pub are owned by the community. Most of the 382 shareholders are regulars and the one member one vote policy so that each shareholder has an equal say. A traditional local pub serving real ale and a wide variety of other drinks. Regular attractions such as live music, pub games and community activities keep customers coming back. The Gardeners Rest is nestled in the fast-changing district of Neepsend, on the outskirts of Sheffield, and it is the only operating pub in a district that is famous for its connections with the gas, steel and rail industries. The area lost much of its population after 1975 as traditional industries declined and shops, pubs and schools closed. 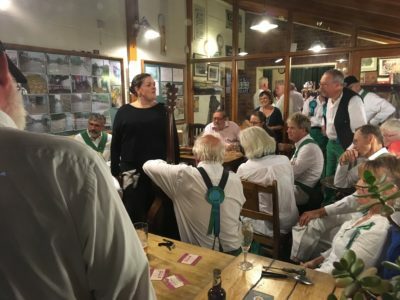 The Gardeners Rest, remains a much-loved base for a diverse community of individuals and community groups, many of whom come together to socialise and choose to make the pub their home from home. Work in partnership with local charity Yes 2 Ventures to provide opportunities for people with mental ill health and learning disabilities to work in the kitchen, the garden and the pub cellar. Provide a range of sensibly priced, tasty pub snacks plus occasional ‘specials’ such as chilli con carne or home-made pizza. Renovate the space above the pub, to create comfortable accommodation for the pub manager and rentable flats for people who need them. Open up the pub space (but not the bar!) during the day to provide a focal point for community groups to meet together at modest cost with refreshments available. The Gardeners Rest is well placed to serve as a hub for the local community and it provides a welcome and a safe haven to everyone who comes through its doors. The health and wellbeing of the local community will benefit from the energetic and pro-active presence of an enterprise that cares about the individual – about every individual including those with additional support needs. In July 2016 the owners decided to retire after 18 years of service. 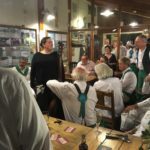 With advice from The Plunkett Foundation, a steering group of interested parties was formed with the intention of taking the Gardeners Rest into community ownership. Three public meetings took place and in 2016 the Gardeners Rest was registered as a Community Benefit Society. The Society had regular consultations with the owners as well as Plunkett Foundation advisers, customers and potential investors. The group received a bursary of £2,500 which paid for an architectural survey, a promotional video and other essential costs. The Gardeners Rest is a rare place where individuals can come on their own and find safe company. 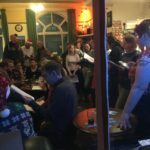 It would be hard for many of the regulars – a lot of them arriving by public transport – to find such an inclusive place elsewhere. The Gardeners Rest offers employment and training opportunities to people who may never meet the person specification for any conventional job, but who are desperate to play a meaningful part in the world of work. This includes people with learning disabilities, people with mental health issues and people on the autistic spectrum. Flexible short work sessions (2-3 hours) are tailored to individual needs and people given employment in food preparation, cleaning and in bar work. The Gardeners Rest wish to provide accredited training as well. 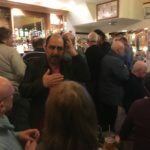 Additionally, self-expression groups, led by artists, sport professionals, local historians and faith leaders will take place – being advertised as an important part of what the pub does, and not as a separate entity. 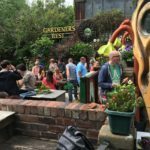 Find out more about The Gardeners Rest Pub in the Community Business Fix Podcast episode ‘More Than A Pub’.